from Labour Youth a leaflet “A Trade Union? Eh? 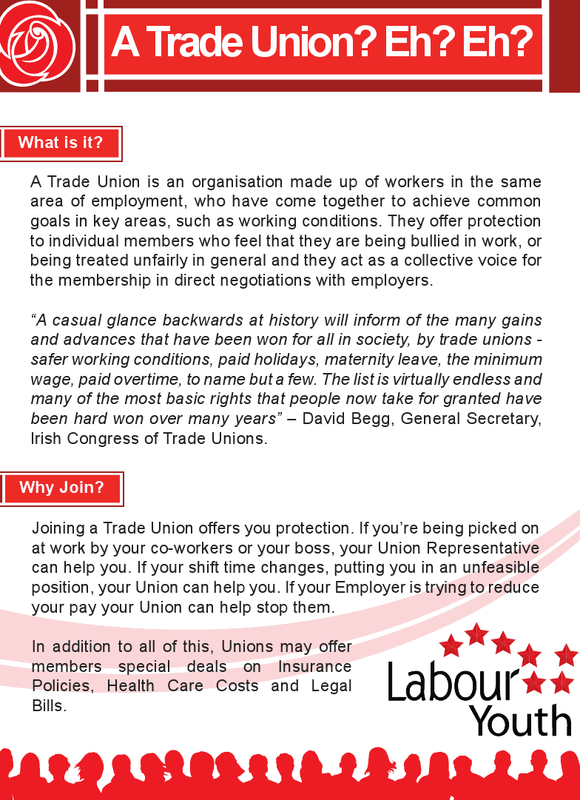 Eh?” explaining what a Trade Union is and the benefits of joining one. Also explains what the ICTU is. 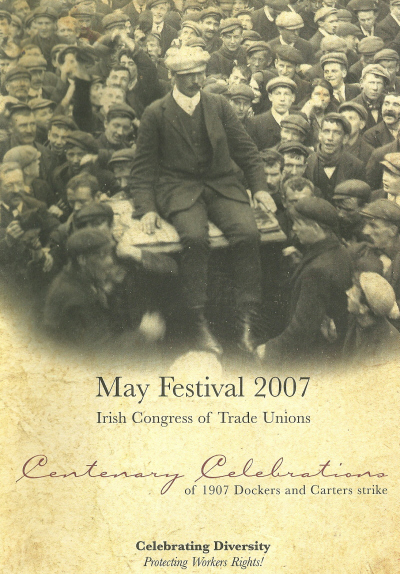 From the May festival 2007 a programme for the “Centenary Celebrations of 1907 Dockers and Carters strike” in Belfast. The story of the strike is told with details of Jim Larkins involvement,as well as photographs from the era. There is also details of the various events being held around the city at the time. 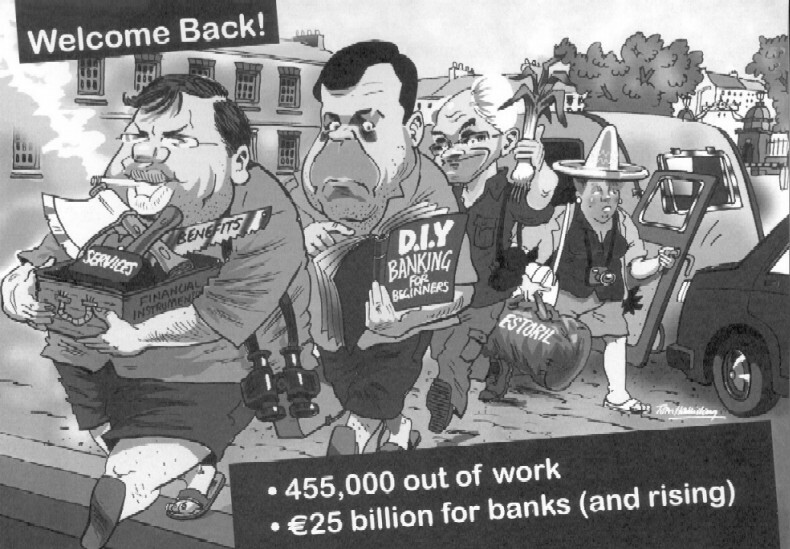 From the protest outside the Dail on the 29th of September 2010 a leaflet from Congress.